Home / Celebrity / Mandisa Nduna / Thishiwe Ziqubu / WATCH Mandisa & Thishiwe’s hot video lightens internet up! WATCH Mandisa & Thishiwe’s hot video lightens internet up! 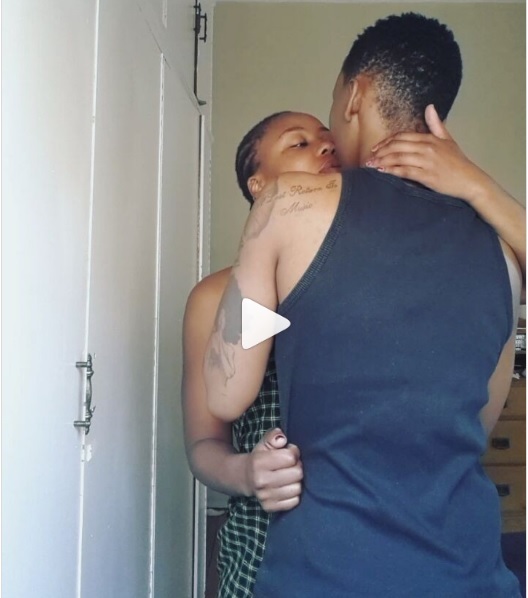 Actresses Mandisa Nduna and Thishiwe Ziqubu got temperatures rising when they posted a provoc_ative video of themselves getting c_osy on Instagram. The celeb couple who have been posting sen_sual and stea_my pictures on social media, are unapologetic about their love. IT WAS a tender moment between two people in love – one they chose to share with their followers on social media. They stare into each other’s eyes as they lean in for a kiss . . . and it didn’t take long for the internet to light up.